And our love will make it real someday"
This song "Working On A Dream" belongs to the latest album of Bruce Springsteen of the same name. This album was recorded with the mythical E Street Band, and includes a bonus track that is the soundtrack of the movie "The Wrestler", starred by Mickey Rourke. He is also a great friend of Springsteen and asked him to do a composition for his movie. 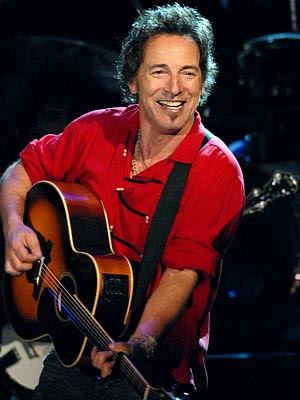 working on a dream is a so soothing 2 listen... i have heard it first time... it is good...Bruce springsteen is awesome! !